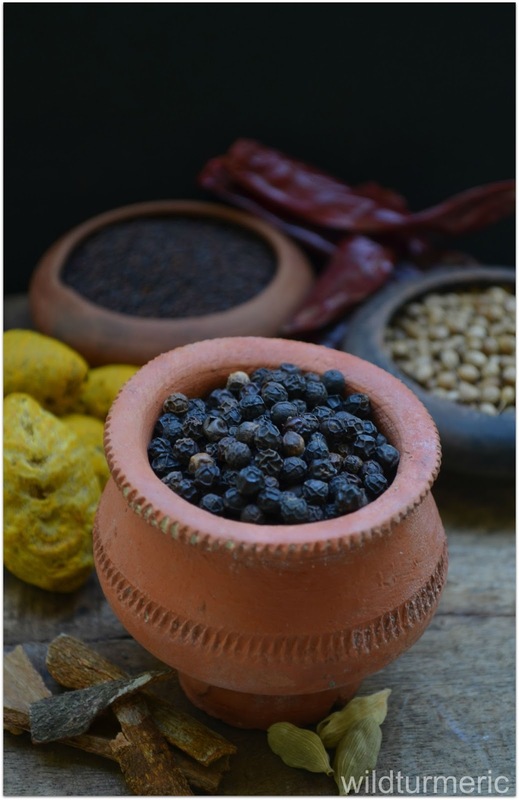 The reason Indian cooking is so flavorful is because of the wide variety of spices we use in it. You will rarely or never find an Indian kitchen without an array of fresh spices and spice powders. In my grandmas time, only bullock cart was used as a means of transportation. Since we live a village, if someone falls ill they have to travel to the local town to see a doctor. Usually it will take an hour to hour and a half to reach there by bullock cart. Just imagine carrying a screaming child who is suffering from intense pain in a bullock cart for 2 hours under hot sun. So usually first the child was treated at home with home remedies and only if they don’t get better they were taken to the doctor. That is why many of the house wives were very good with home remedies as they didn’t have any other option. Another important reason is the well stocked kitchen with spices. The last thing we want to do is search for an ingredient when we or any family member is in intense pain. Since most of the Indian spices have medicinal properties and was always stocked in the kitchen, it made practicing home remedies very easy. 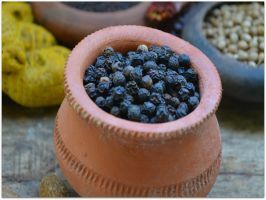 I wanted to give a list of all the important Indian spices that is widely used in home remedies. Though I have left out a few spices in this list like nutmeg, oak gall, etc, I have covered all the most used spices in remedies. I would suggest stocking these ingredients at home to easily use it in home remedies. 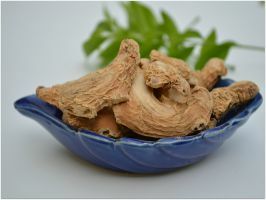 You can find detailed information about the the remedies using all these ingredients in the blog, below I have just given only a few uses of the ingredients. All of these ingredients can be found easily in the departmental stores…..
As many of you must have guessed turmeric is the one of the foremost spice used in home remedies. It is used to treat cold and cough, skin related diseases when applied externally or reduce any kind of inflammation. We buy different kinds of turmeric for different use. Round fat ones for cooking and the fragrant ones called kasthuri manjal for external application. Try to buy organic turmeric for best results…. 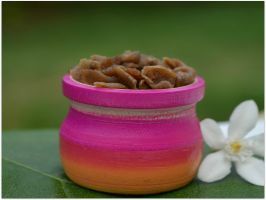 Asafoetida also called as hing in Hindi is a very important spice that is widely used in home remedies. It is used to treat bloating in both adults and kids, heal tooth pain and can be used as a poultice for stings and even for treating ear ache. Asafoetida comes either as a block or in powder form. I always prefer to buy them in blocks. If you buy them in blocks, as soon as you buy them pinch them into small pieces while they are still pliable, shade dry till crisp and store. Fenugreek seed is an other ingredient that is widely used in home remedies. It is used both internally and externally. 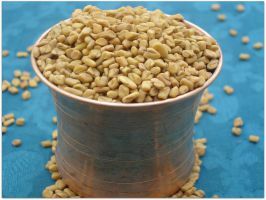 Fenugreek seeds are used for treating flatulence and in our home fenugreek honey mixture (you can find the detailed information in the blog) is a very popular remedy. Fenugreek is one of the best home remedies for dandruff and fenugreek seed hair mask is one of my all time favorite hair masks. Since fenugreek is a body coolant, it is always added to idli batter while grinding, a very important ingredient to stock at home…. I have never been without dry ginger at home. Especially my husbands grandmother who was an authority in home remedies used to insist that we have dry ginger at home always. It is used to treat flatulence and bloating. It is so very effective that we make tea out of it to serve after heavy meals. Dry ginger tea is one of my favorite drinks…. 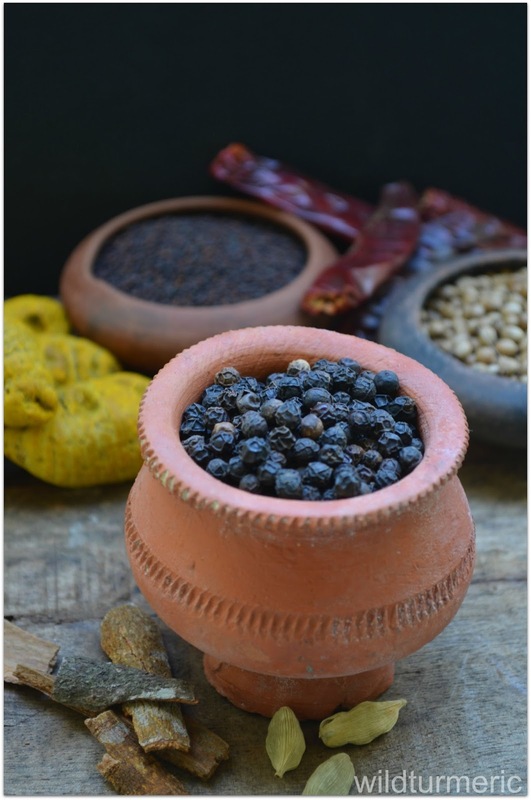 I am sure most of you must have used peppercorns in some form as a home remedy. I personally feel it is very good for treating all kinds of throat infections. Since every home stocks up on pepper corns it is widely used in home remedies. For throat infections, even chewing on a single black pepper corn will give comfort to the throat. We use cardamom for treating diarrhea in young babies and it also aids in digestion. 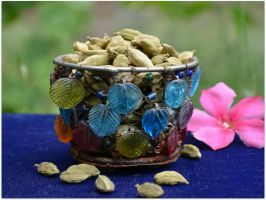 Cardamom also treats bad breath and that is why you will find it in all mouth freshener recipes. Cardamom oil made from cardamom also gives a nice glow when massaged onto the skin. Since we add it in all our Indian sweets, it is one spice that is well stocked in all Indian homes. 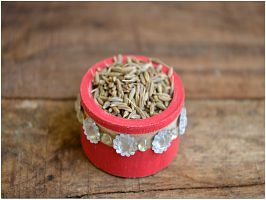 Fennel seed is one of the best ingredient to treat colic in babies and fennel tea made with fennel seeds treats flatulence very effectively. 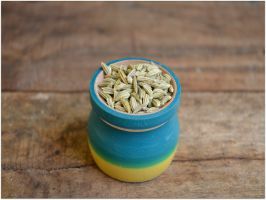 We use fennel seeds to season gravies and spicy rice dishes so it is always well stocked in Indian homes. If you have young babies at home especially young babies who are suffering from colic pain, I would suggest stocking up on this wonderful spice. We start every dish by seasoning it with mustard. If you read any South Indian recipe, it will start with heat oil in a pan and season it mustard. So we have never been without mustard at home. 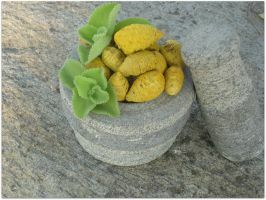 It also has wonderful medicinal uses, mustard poultices are very popular throughout the world for treating cold and cough. 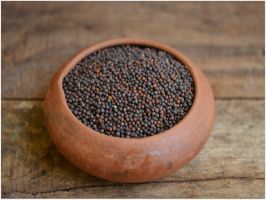 Fresh mustard is also one good home remedy for treating ringworm. I love love this spice, it is my go to remedy for indigestion. Here in Tamil Nadu omathram or oma water is so famous and a very popular medicine that is sold in every shop. We use oma water to treat indigestion in both kids and adults. We also add it to savory snacks to aid in faster digestion so it is well stocked in Indian kitchens. A must have spice! Cumin have a cooling effect and drinking cumin seed water is one of the best ways to beat the scorching heat. In Kerala if you ask for water you will be served only cumin water 90% of the time. We use cumin seeds in everyday cooking extensively and it is also one spice that is well stocked in Indian kitchens. 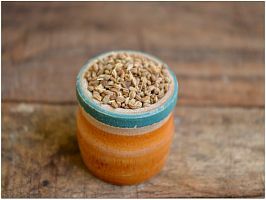 Cumin seeds aid in digestion and is very safe to be used to be used by pregnant women and kids. Wow. A lot things I have never seen before. And I also like @Himanshu reply: "One day all Indians wake up and enjoy …". Of course they will do.